For the second time in 2019 Jay Peak was closed yesterday. In January it closed due to extreme wind chills. Yesterday it closed due to high winds. If you’d bought a ticket from some online sites, you were out of luck. 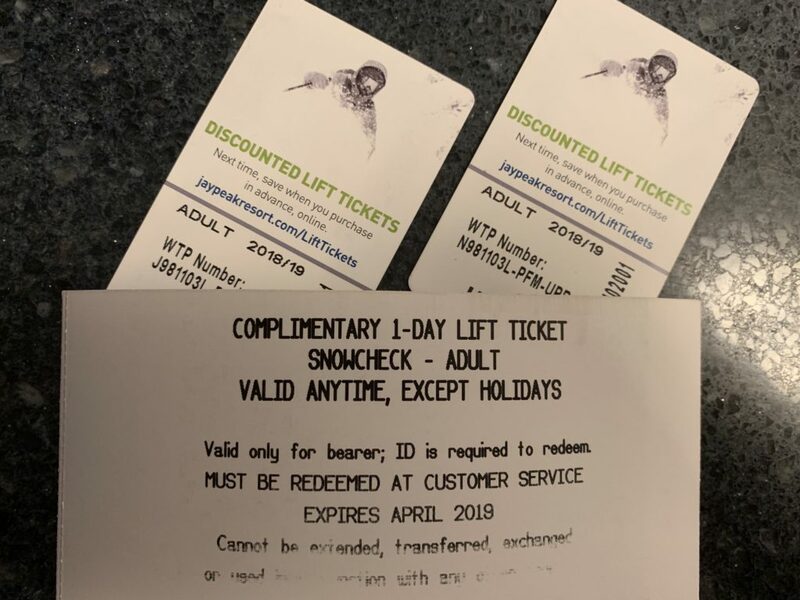 If you bought one from the resort itself, the best you could hope for was a “snowcheck” voucher for a future day between now and the end of April. In both situations, we had guests who weren’t able to come back this season. But luckily for them, they bought their discount tickets through us. An online site might have been cheaper. Heck, buying from Jay Peak might have been a few bucks cheaper. But guess what? We refunded them their full amount yesterday.